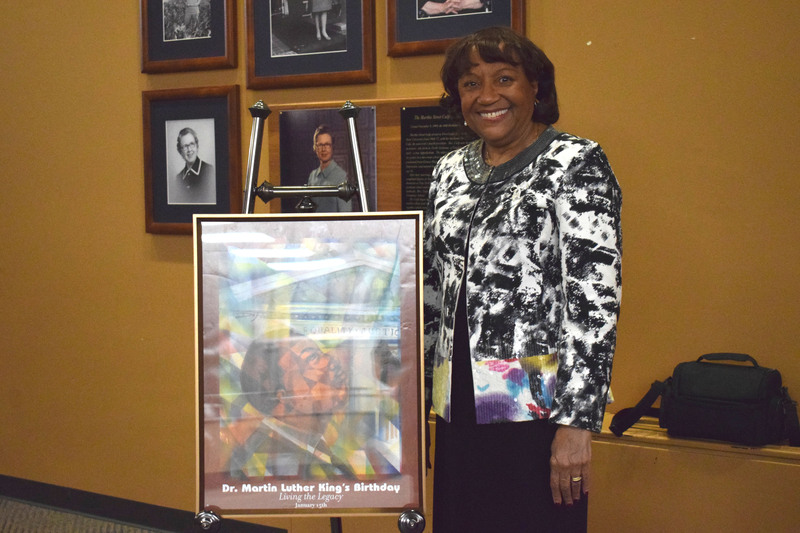 On April 4, ETSU remembered the life of Dr. Martin Luther King, Jr. This year marked the 50th year of his passing. The audience was greeted to the event by a soft melody played on the piano by ETSU student Alex Jatto. 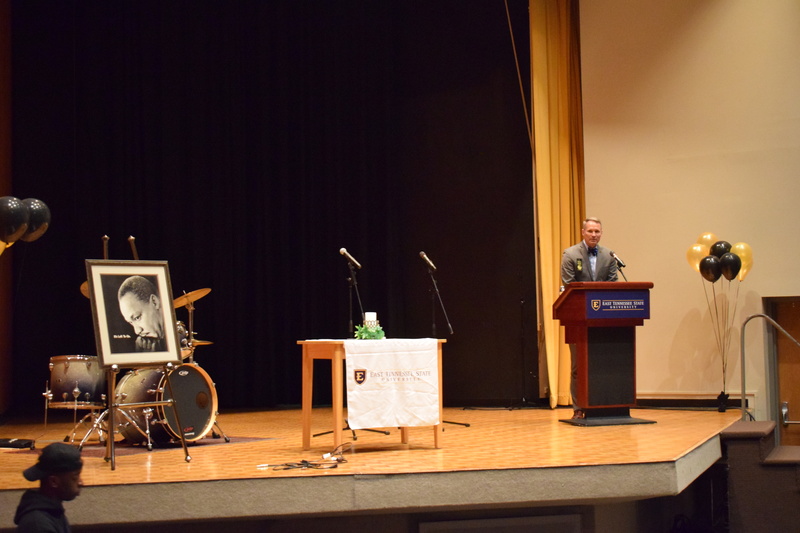 President Noland shared some words on Dr. King’s life. Then he was followed up by the MC for the night. She introduced the first performer, Jerrica Dyson. 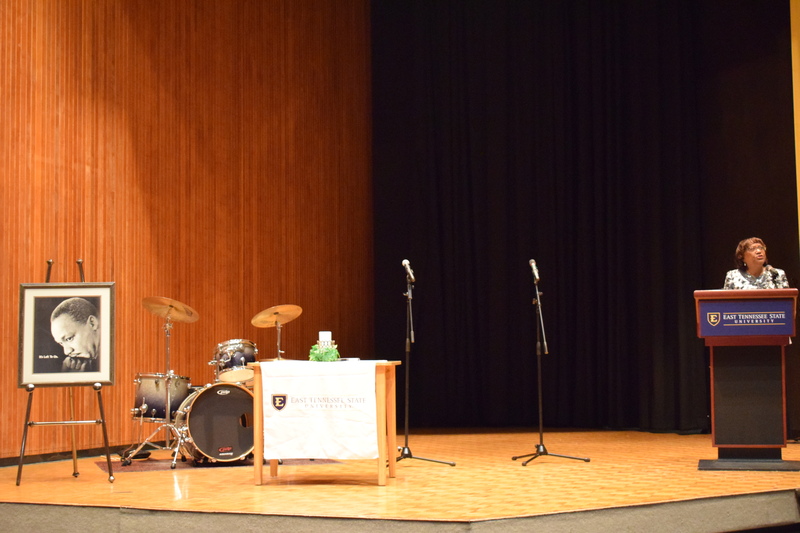 The selection she sang was “Lift Every Voice and Sing.” During her performance, the audience arose from their seats to sing along with Dyson. Up next was Terriney Gibson, she performed a powerful spoken word piece inspired by Dr. King. As Gibson left the stage, a sea of students dressed in white shirts and blue jeans filled the stage. This group was the International Choir, and they sang “I Need You to Survive” by Hezekiah Walker. 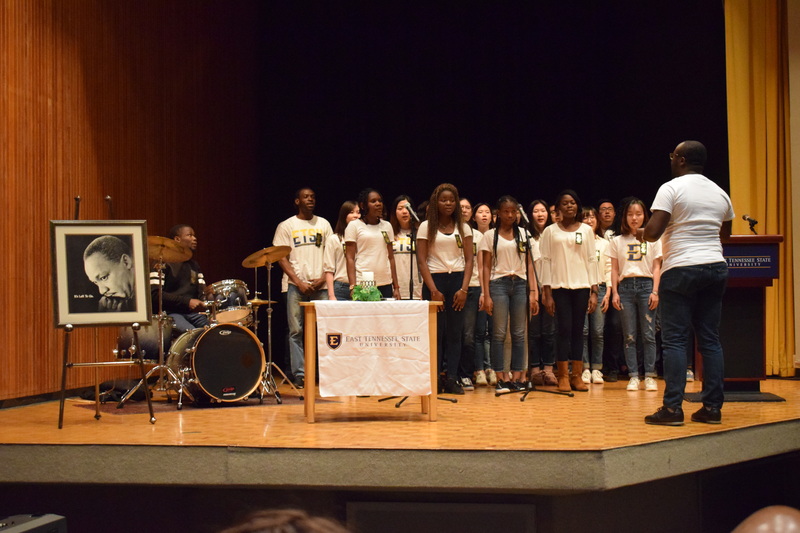 Their voices were soft and angelic, so it was the perfect lead into that night’s keynote speaker, Dr. Brenda Wright. Her speech touched on the history of Dr. King and ended with his legacy. Dr. King’s legacy inspired change for the youth of his day and continues to inspire the youth of today to stand up for what they believe. Wright ended her speech with words of wisdom for this generation of young people. “Refuse to be silent in the face of any and all bigoted comments or behaviors,” said Wright. ETSU student Joy Kanwai was glad she came to this event because she left with a better understanding of how she can make a difference in the world like Dr. King. “I thought it was really empowering and enlightening because there was a lot that I didn’t know about how to make a difference,” Kanwai said. Next post How are students spending their free time?